Mercy, you are even more privileged than you ever knew. Lily white. Do you have rhythm when you dance? :) Sorry. 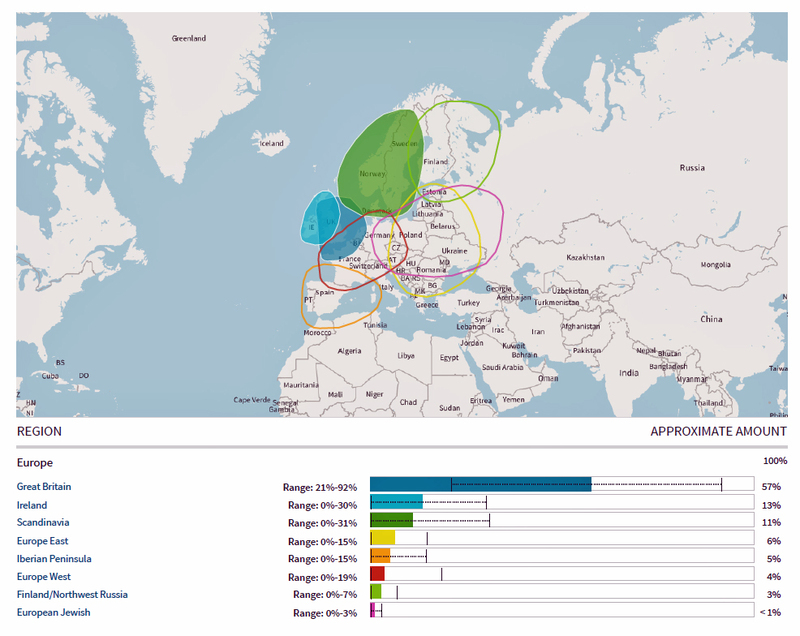 My aunts and uncles both had that Ancestry DNA done and it said they had a little of everything, from European to Spanish to African, although I’m sure those weren’t the right terms. I just remember thinking a lot of mating was being done in lots of places, and all I feel is run-of-the-mill Texan. My issue with people discovering their ancestry (and I did watch the ancestry shows last season with celebs tracing theirs) is how far back do you trace it? I can trace mine within 100 years to both Ireland and Cuba, but if you go back 200 years, it’s other places, Scotland, etc. And if you’re religious, don’t we ALL go back to Noah, and ultimately the Garden of Eden? If people are African-American who have never been to Africa and were related to someone there in the late 1790s, shouldn’t we all name ourselves after where our bloodline was 200 years ago? It’s so confusing. It stinks if you find out a relative was a convict (like some celebs did), but the Congress Hall thing is pretty cool. Pumps you up a bit. My daughter asked what the results were and when I told her I was able to trace our ancestors back to the Ark, she paused for a minute and then said, “We’re related to animals?” (Maybe just on her mother’s side!) Because I do historical research, on a couple occasions people told me they had relatives that worked on the water supply years ago, and could I find out some info for them? So I looked it up and found a couple people, whose info was interesting (The old employment cards listed race, origin, religion, language, etc.) A few I wasn’t so lucky. But doing that got my curiosity going. Mostly I did it to find out about being Native American. Now I wish I hadn’t donated so much money to St. Joseph’s Indian School!! I am really sick of them sending me dream catchers, address labels and note pads!! I asked them many times to stop! A person can only use so many dream catchers. When my daughter was in grade school, her homework was to do a family tree. I could only go back to her grand parents (I come from an estranged (or is it strange) family. So, out of curiosity I wonder who I am…More will be revealed. PS – I think I’m the only convict on this tree! You are cracking me up with the Indian School. We had a relative who went to an institute/university for Native Americans in the 1940s, and now I want to see if he was legit. See what you did? I feel you on the address labels. I sent St. Jude (not Joseph) some donations years ago, and I have enough labels for the next 5 years. Can’t remember the last time I handwrote my address.